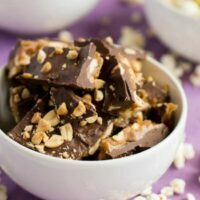 Peanut Chocolate Toffee is a great family and party snack idea! 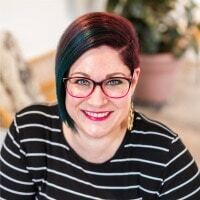 Hearing your own tribe say “Mom” is the best sound in the world…but don’t you love it when you feel like you’ve reached rock star status with your kids? 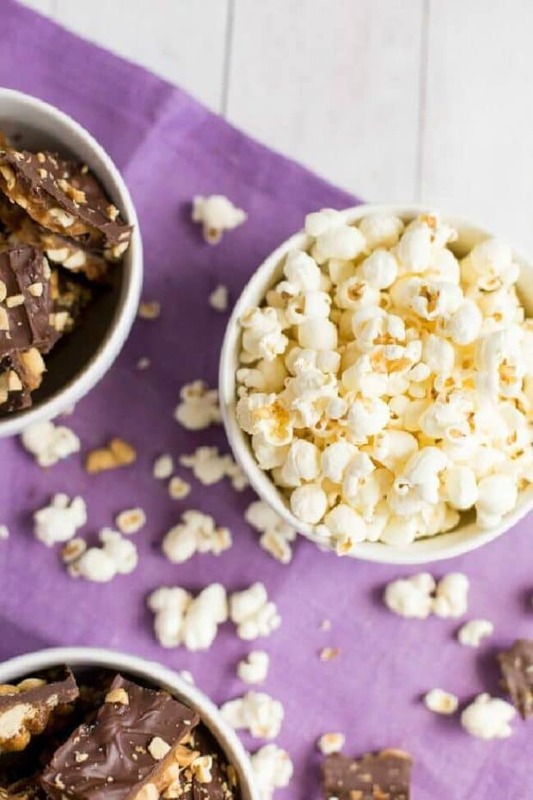 I don’t hear that acknowledgment sometimes when I think I will, but it happened when I served Peanut Chocolate Toffee and popcorn. 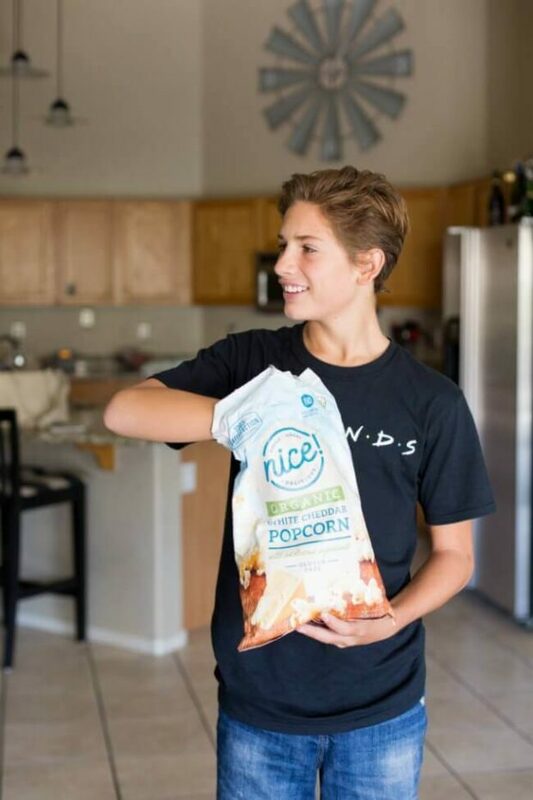 I was asked by Carusele to participate in the #SimplyNice campaign, sponsored by Nice!® at Walgreens. Although I have been compensated, all opinions are my own. Hungry boys — my three, aged from thirteen to five — and their always ready-to-snack friends are a thing at my house. I’m OK with that. I like to have the kids hanging out here. It feels like party day, every day. But regularly sliding into junk food nirvana is not OK. I feel good about giving the guys things like nuts, popcorn, and trail mix for nutritious snacks and I find all that and more at Walgreens. And sometimes I add those things to a recipe for a super treat. I’ve been reading labels a lot closer these days. Amazing what you find in some food — I don’t like it when I can’t even pronounce the ingredients. I do like it when I find a product line I’m comfortable with. It saves a lot of time when you know you don’t have to read every label! 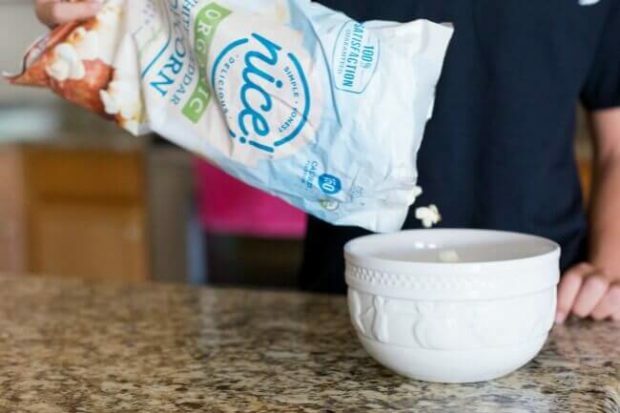 The Nice!® Products at Walgreens deliver uncompromised quality and taste — Simple. Honest. Delicious. They offer a range of healthier products with great taste so you can live well for less. Their products don’t contain PHOs or trans fats, just real ingredients. And the new packaging makes it even easier to know what you’re getting. 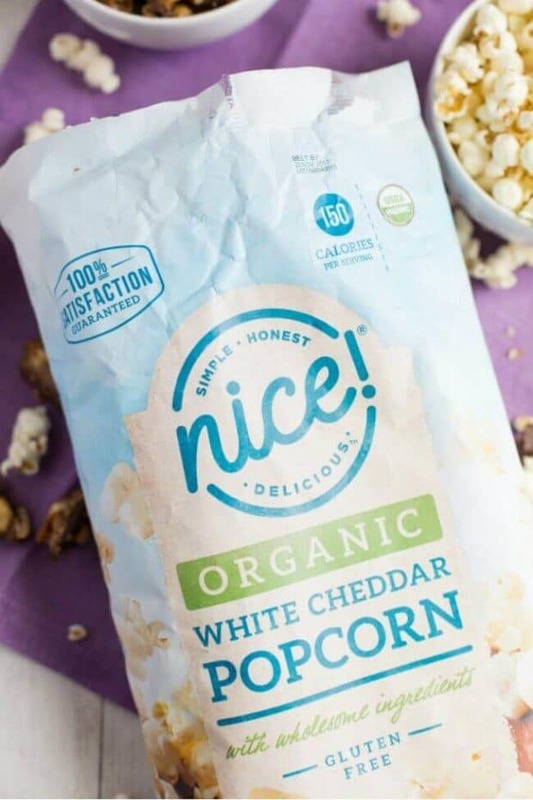 For example, right on the front of this popcorn package you see it’s organic white cheddar popcorn, non-GMO, with 150 calories per serving. 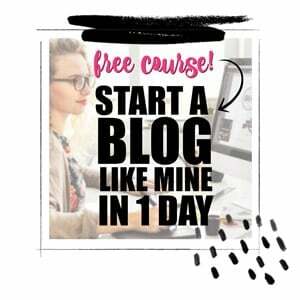 I like that they have a wide variety of products so I can make one quick stop for whatever I need—grocery items, snacks, pharmacy, make-up, etc. And they have a killer magazine section! So back to the boys and their voracious appetites. After eating a reasonable meal, I’m fine with a little reasonable indulging. 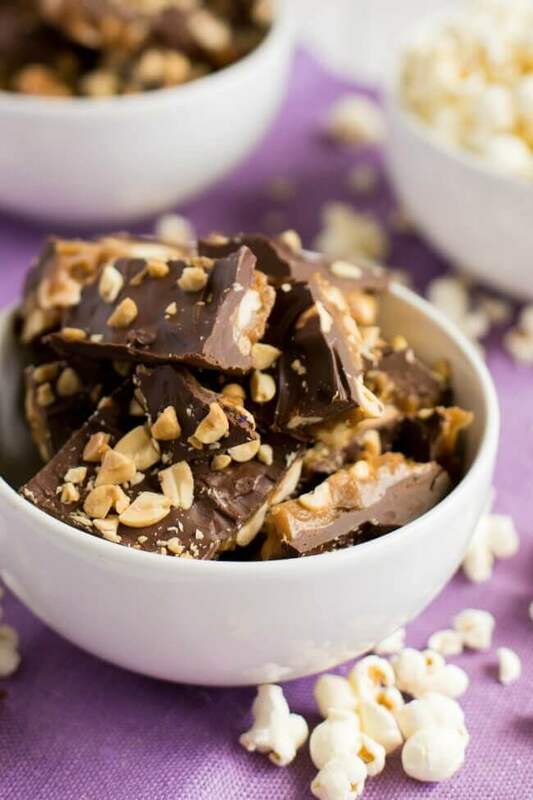 And this Peanut Chocolate Toffee is really easy to make—there are only four main steps. Using chocolate chips speeds things up. 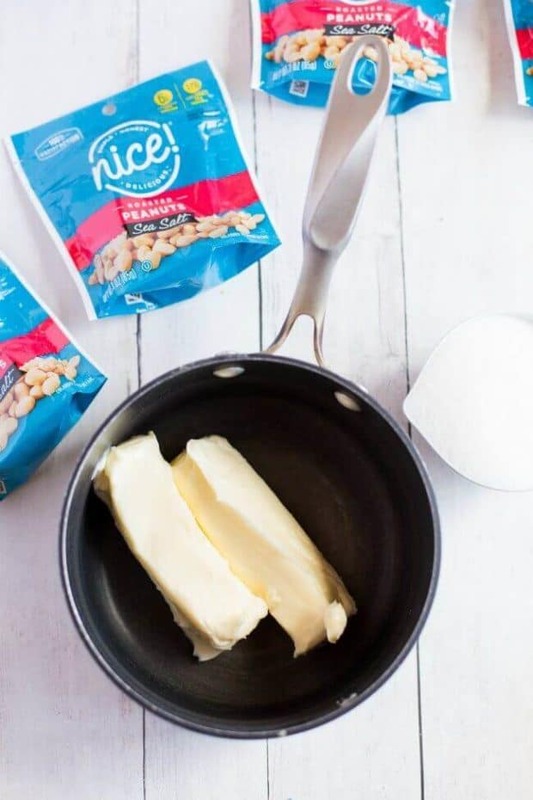 And when you add that final topping of Nice!® sea salt peanuts, you can hardly wait! 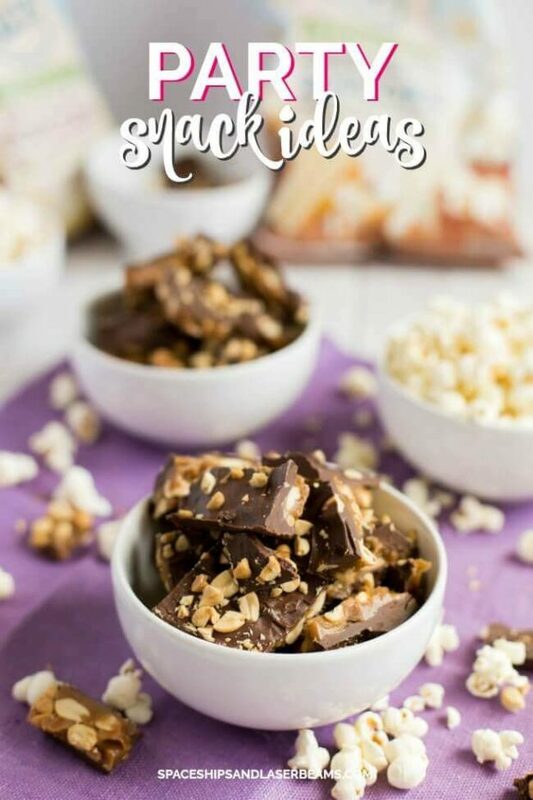 We all love that satisfying sweet and salty combo so Peanut Chocolate Toffee and Cheddar Popcorn make a welcomed treat or party snack idea for entertaining. When you hear your guys (and their friends) “oh-boy-ing” and they remember a big “thank-you” you know, you know it was a good decision to make it! 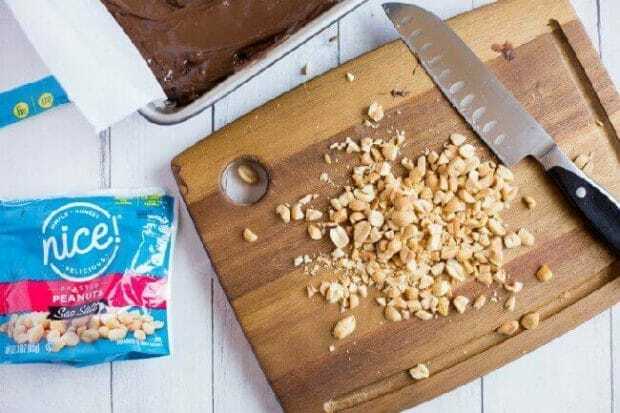 Line a 9x13 cake pan with parchment paper; spread 2 cups of peanuts into an even layer. In a medium-size pan add butter, sugar, and vanilla. Stir over medium heat until butter has melted. Let come to a simmer. Simmer for 7-8 minutes, stirring occasionally. Watch carefully so it doesn’t burn. The mixture gradually turns darker and is still a little separated. 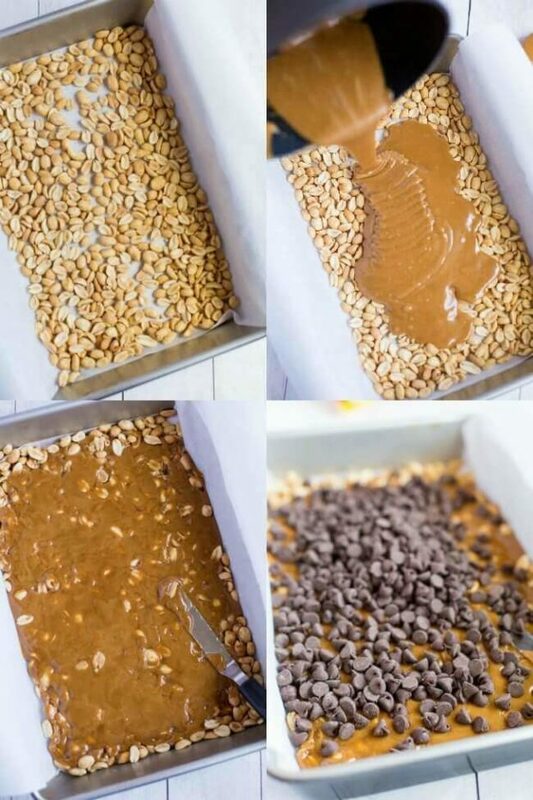 When the mixture turns the shade of caramel and flows from the spoon in a ribbon, pour over the peanuts. Use an off-set spatula to spread mix over the peanuts. 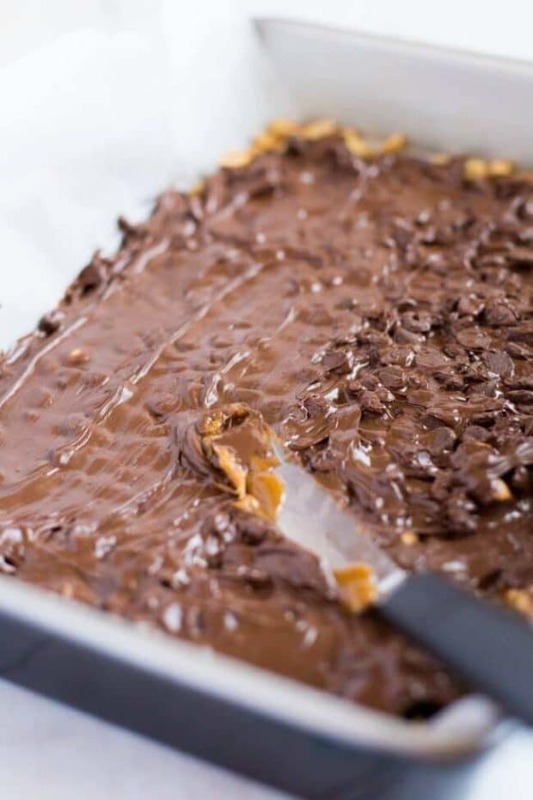 Pour a bag of chocolate chips over the top and let set for 2-3 minutes so chocolate chips melt. 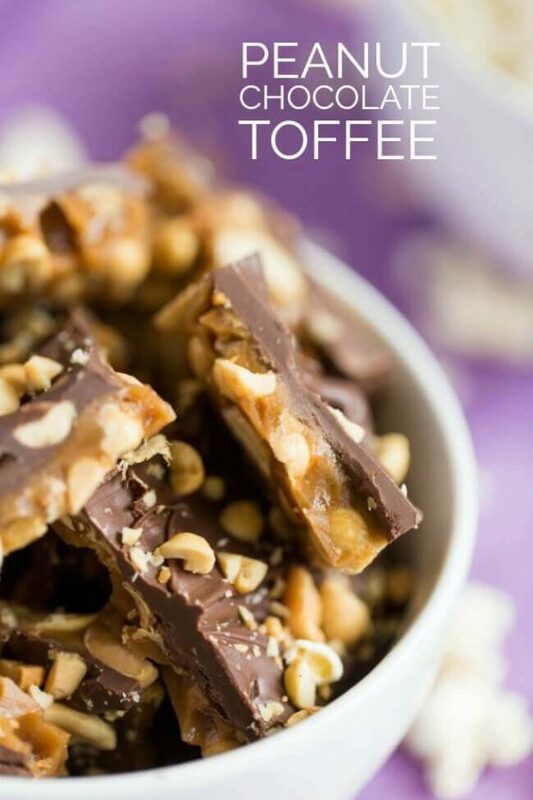 Using off-set spatula, spread melted chocolate over the layer of toffee. Chop the remaining ¼ cup of peanuts and sprinkle over the top. Let set for 2 hours until the pan comes to room temperature and then place in fridge until ready to enjoy. Which might be immediately! WOW! This is amazingly good!!! Plus, it is super easy to make. It’s a win in my book.